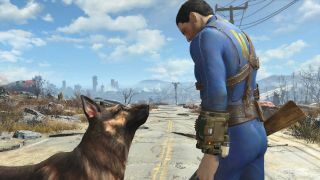 Fallout 4 unlocks in ten hours! Maybe even less by the time you read this! But if you just cannot possibly wait any longer, there might be a way to get your hands on it sooner. As in, now. What's the trick, you ask? I'll tell you: Australia. I'll start by mentioning (and emphasizing, and repeating for effect) that you do this at your own risk—at your own risk—and if you somehow break something, or get yourself banned from Steam, or suffer any other deleterious effects to your digital health or well-being, don't look to blame us. It's clearly against the Steam ToS you've agreed to. You have been warned. Okay. The deets come by way of Reddit, but in short you're going to install a VPN service (F-Secure Freedome is recommended, but I'm not sure if it's mandatory), get out of Steam, point your VPN connection to Melbourne, and then follow a few more steps to kick your countdown timer into the magical, time-bending land down under. If you run into grief, this little tidbit involving WTFast seems to be helping a lot of people. Some Reddit users are saying they've already got the game, and pish-poshing the risk of Todd Howard's vengeful spirit appearing like a pre-holiday Ebeneezer Scrooge to punish you for your temporal insolence. Take that for what it's worth, which is to say that you pays your dime and you takes your chances. Because we care, and are foolhardy, we tried to test the trick ourselves. Unfortunately, we were unable to determine whether or not it works because the VPN service itself is busted, I'm guessing under the load of the bajillions of people who are trying to get their hands on Fallout 4 right freakin' now. If at some point we make it work (or, conversely, get an angry email from Bethesda), we'll let you know. Feel free to do us the same courtesy in the comments.